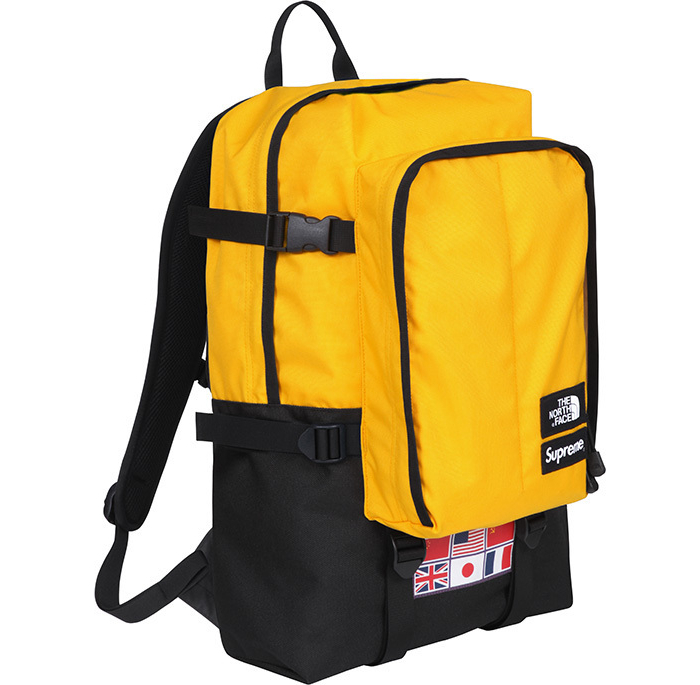 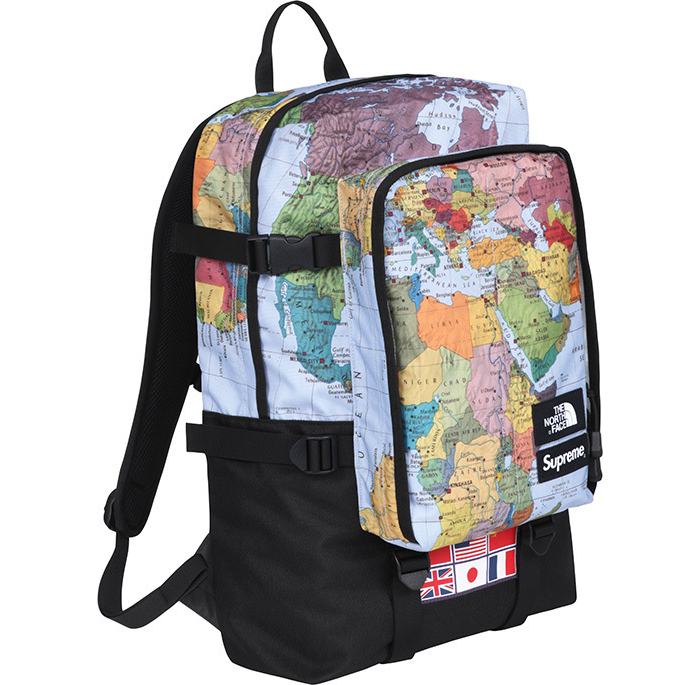 Supreme continue their long-standing partnership with The North Face this week, producing 4 colours each in a new Expedition Coaches Jacket and an Expedition Medium Day Pack Backpack. 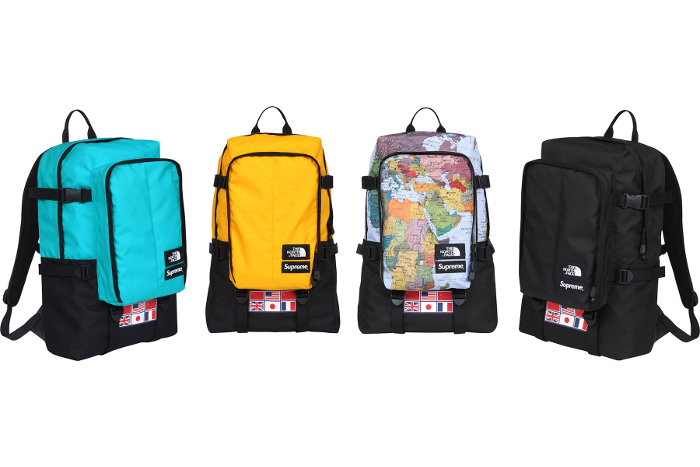 The new range continues the map theme from the brands’ SS12 collaboration and adds in three block colour options in yellow, turquoise and black. 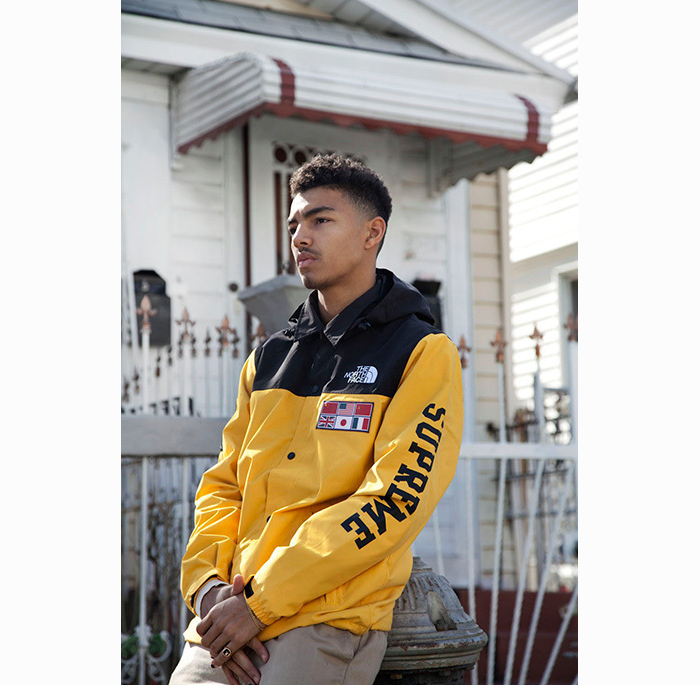 The Expedition Coaches Jacket is a custom fit for Supreme and comes with a waterproof nylon shell and detachable hood while the Expedition Medium Day Pack features a water resistant poly shell. 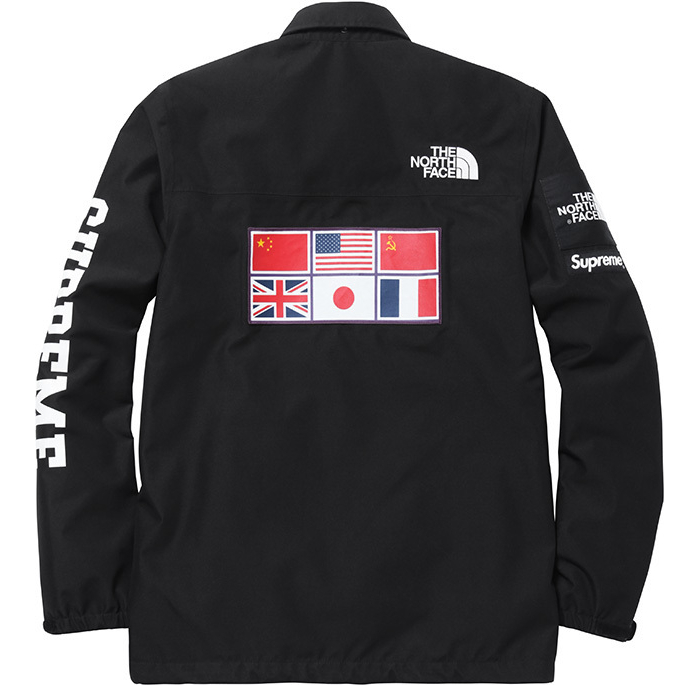 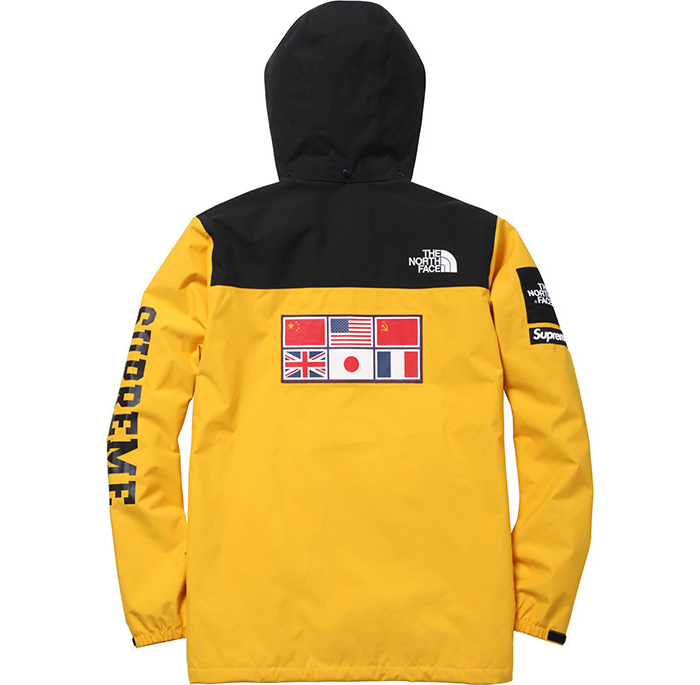 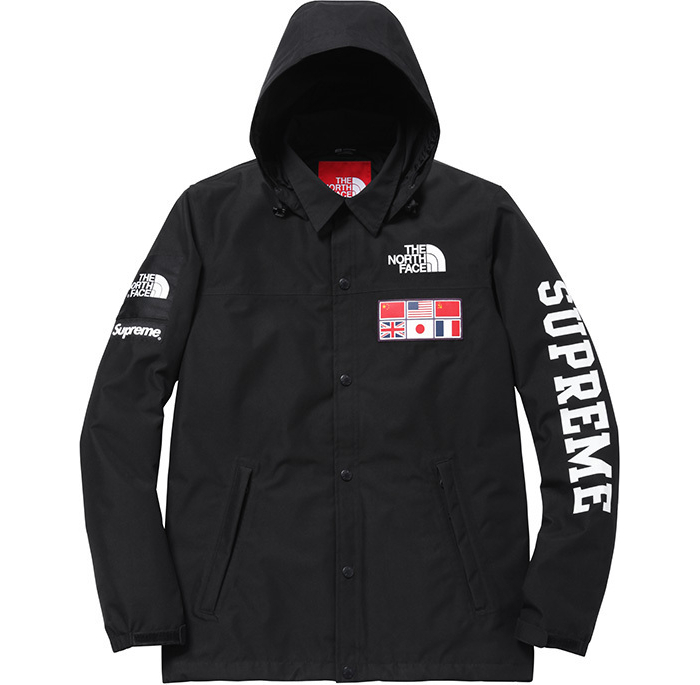 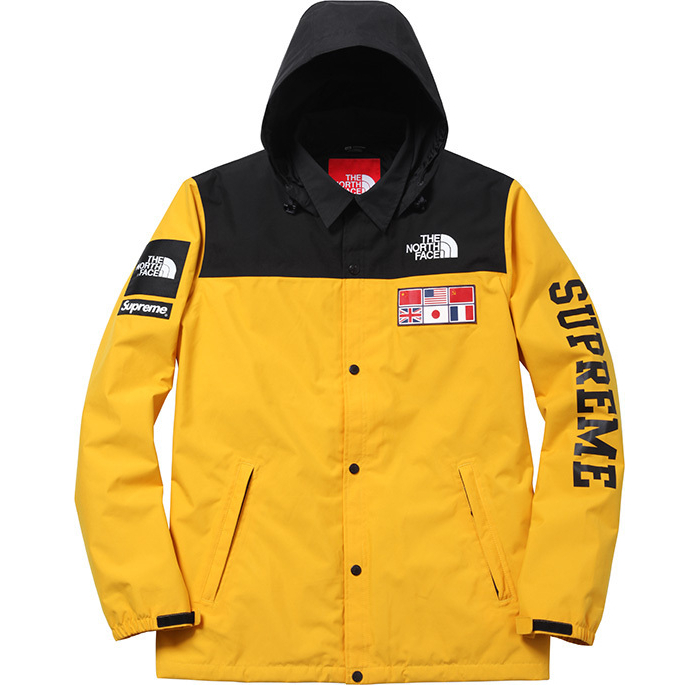 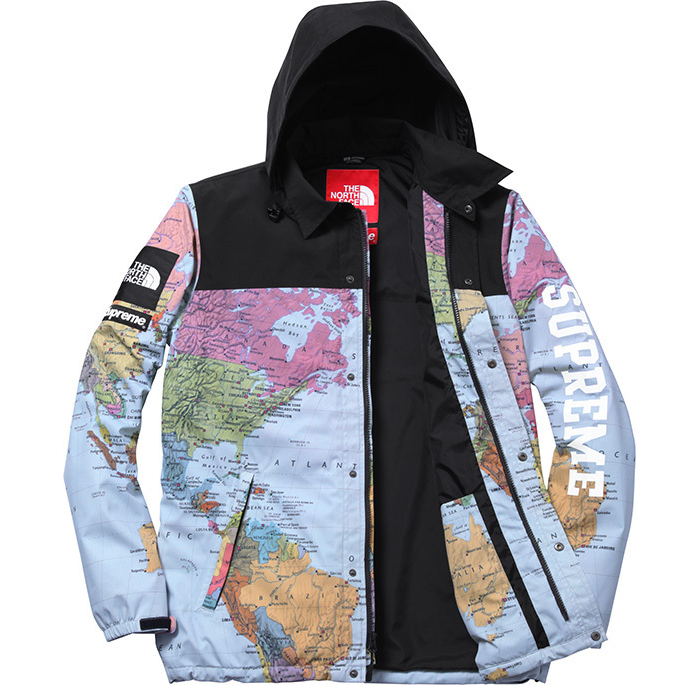 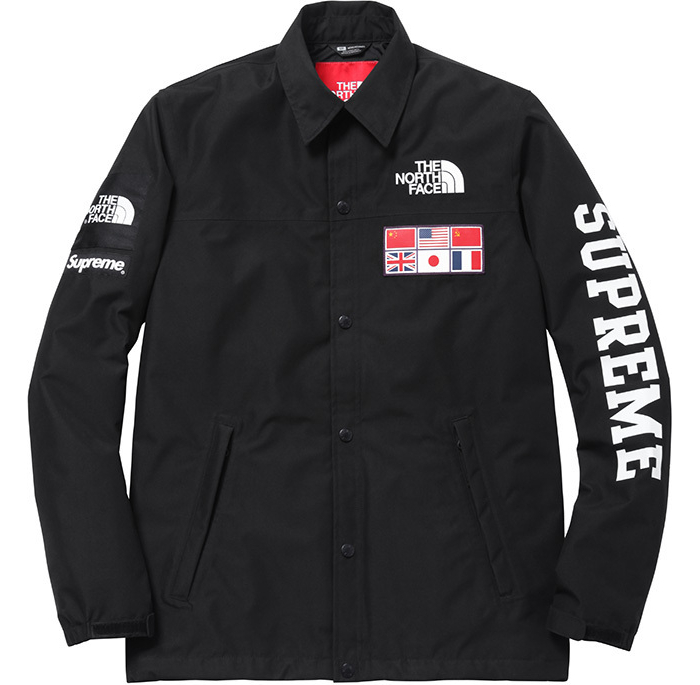 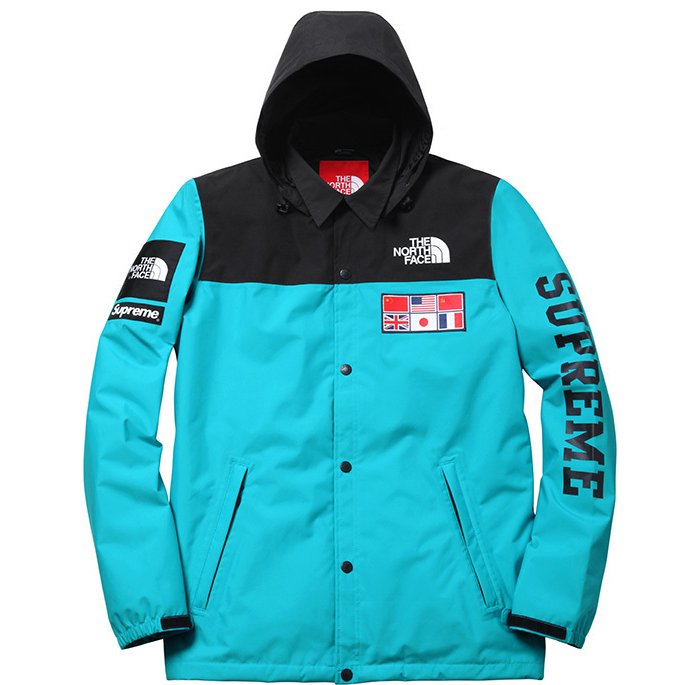 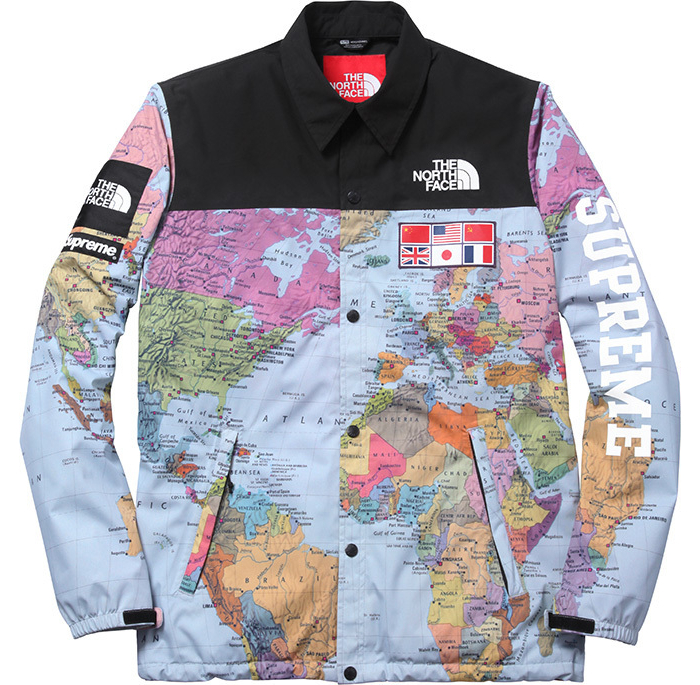 Traditional Supreme and The North Face branded patches appear across both pieces, with large Supreme text printed down the left sleeve of each jacket and both brands’ woven labels inside the neck. 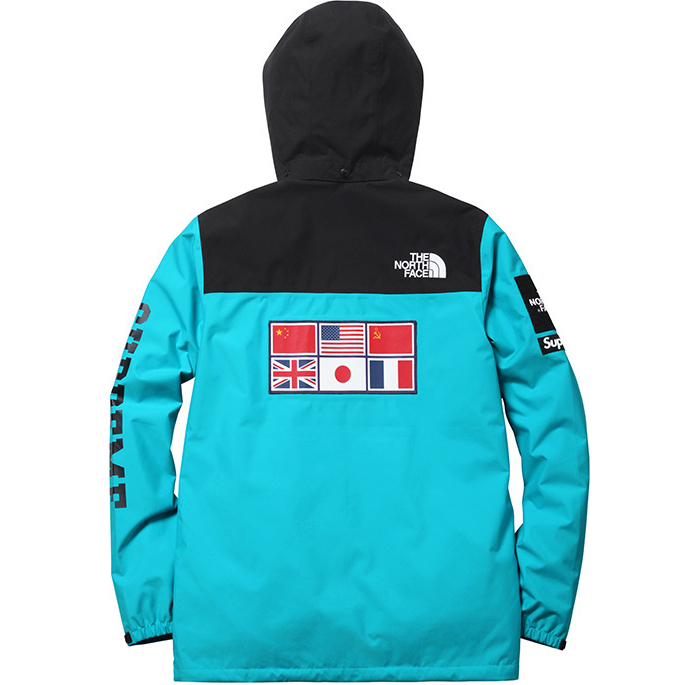 The six flag detailing that appears across all pieces represents the six nations that joined forces to cross the Antarctic without motorised assistance in 1989 – China, the United States, Russia, Great Britain, Japan and France. 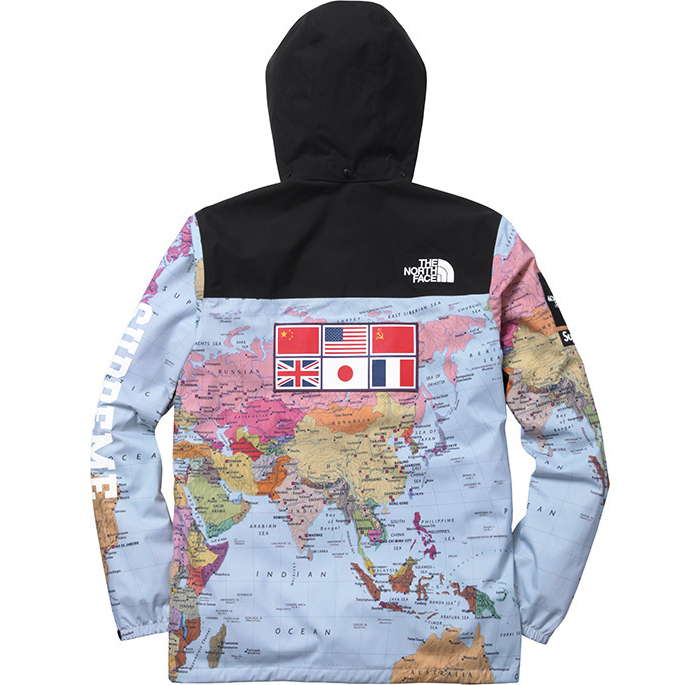 This embellishment was part of the The North Face’s Trans Antarctica collection which released shortly after in 1990. 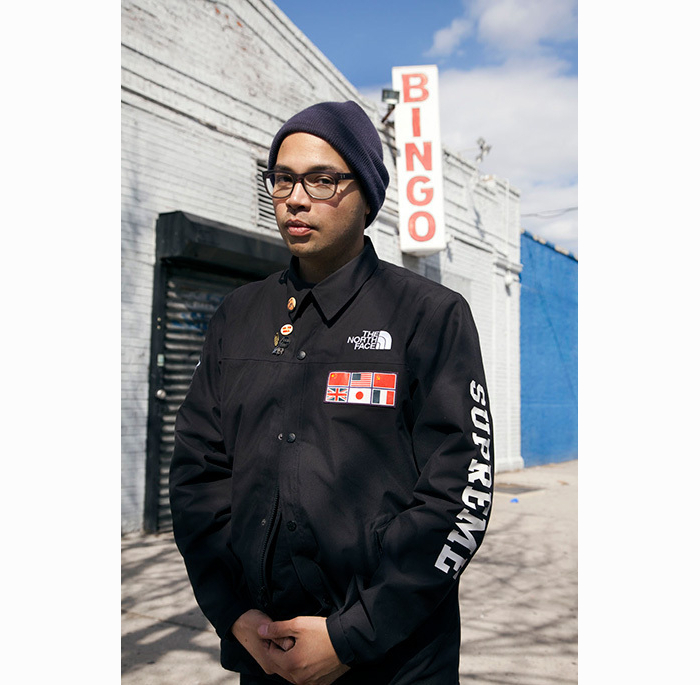 Shouts to Gwarizm for dropping the knowledge in a timely manor yesterday and providing some great original references. 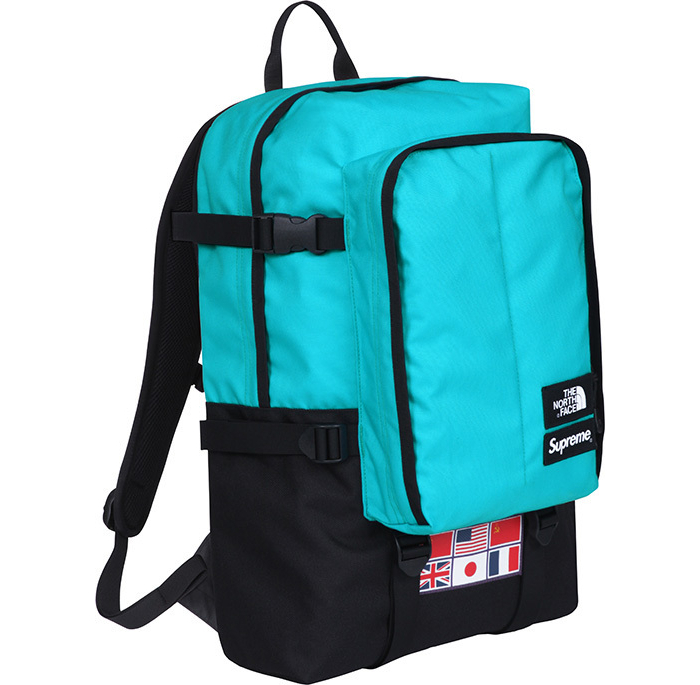 No orange or purple this time around, but the turquoise makes another appearance. 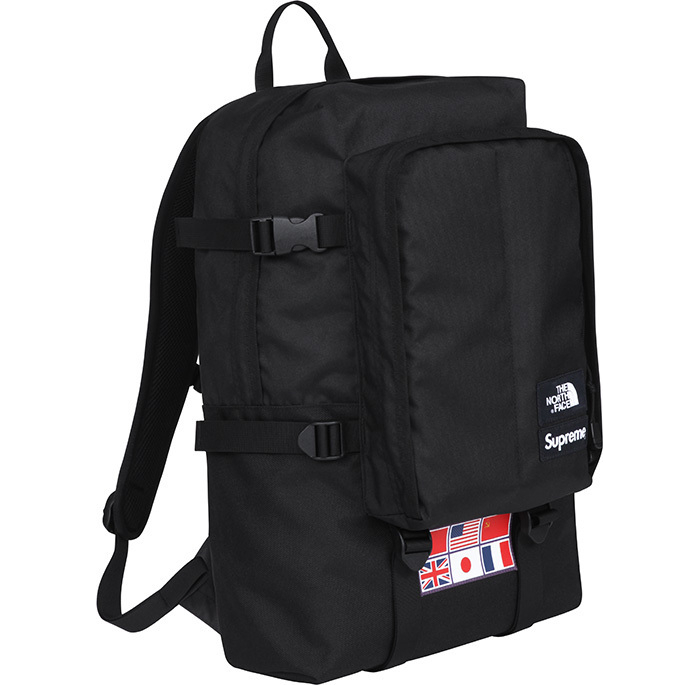 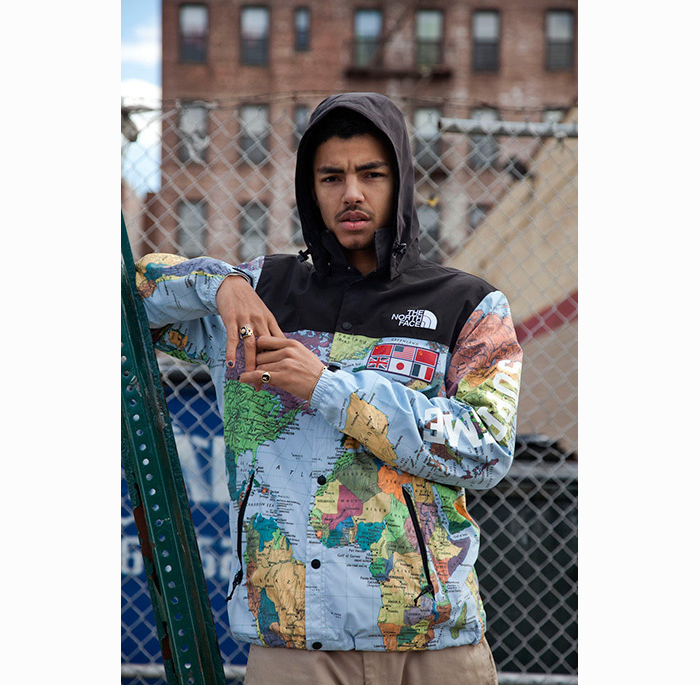 The Supreme x The North Face Spring/Summer 2014 collaboration will be available this Thursday April 17th from the Supreme London store and online. 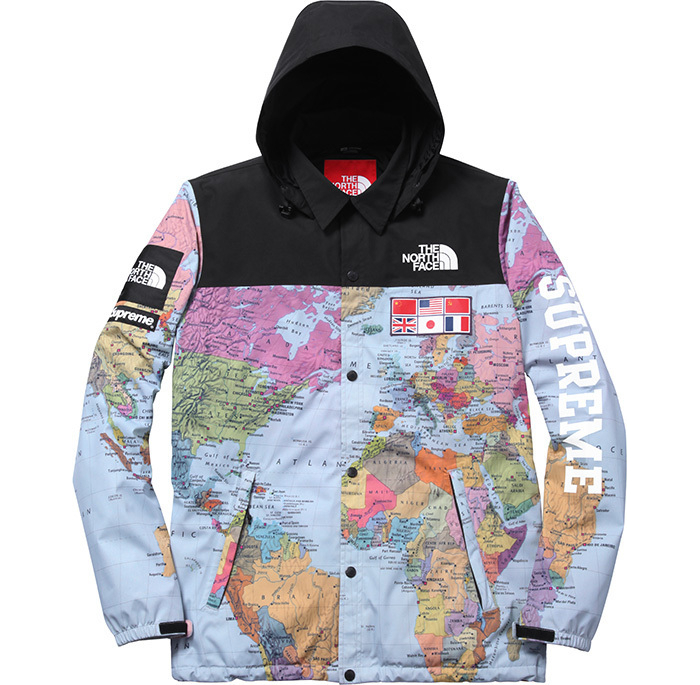 A detailed look follows below.